Mortar Magnets is the sequel to The Cave. It's 1968 and Toby Carter is enjoying the high life as a Military Airlift Command C-141 loadmaster but he's still dealing with memories of his horrific experience on the ground on Laos after being shot down in a C-130 flareship. His problems are complicated by his short, failed relationship with a young Air Force enlisted woman that he met when she rode as a passenger on his airplane on the East Coast Shuttle. He's only been back in the States for a year when he gets orders sending him back to the war, this time to the C-130 wing at Clark Air Base, Philippines. He arrives at Clark in the late winter of 1969, a year after the Vietnam War reached the peak of its intensity, a time when the C-130s he is flying received a new nickname from the soldiers and Marines at the forward fields where they deliver supplies - mortar magnets. Although the intensity of combat is decreasing, it's still high with hundreds of American troops killed each week and C-130s are still being shot down. It's a much different war than the one he left in 1967. 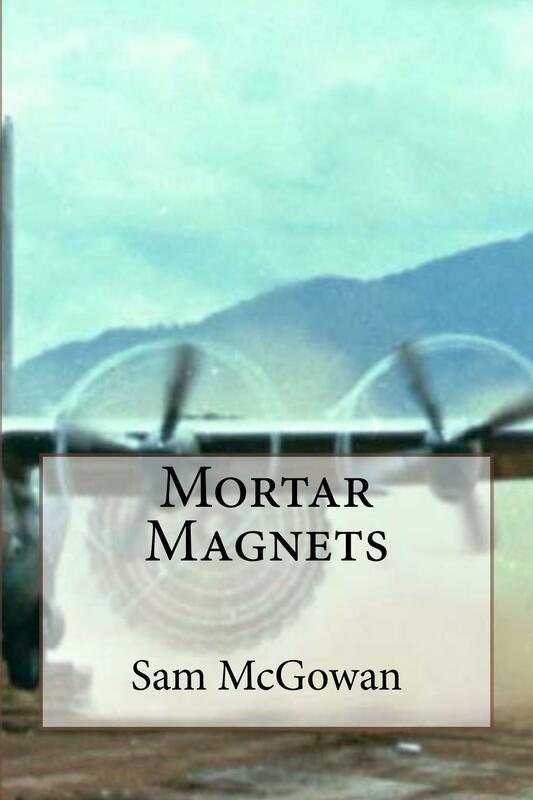 Mortar Magnets is available immediately direct from CreateSpace and will soon be available from Amazon, Kindle and Nook as well as conventional booksellers. Use the above buttons to order or send a check for $27.95 (including shipping and sales tax - which I have to pay) to Sam McGowan, 3727 Hill Family Lane, Missouri City, TX 77459. To order more of my books go to my Book Page.